April is Child Abuse Prevention Month. 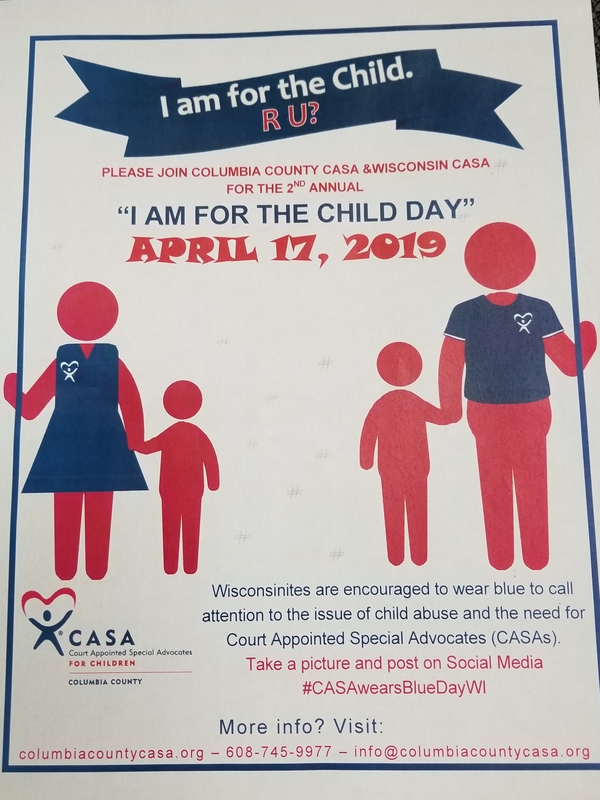 WEAR BLUE today in support of Children. Take a picture and post on social media using #CASAwearsBlueDayWI.